Did you realise that your mind is your key to a fabulous life? Not only is it your only power, but it is also your identity and your way to freedom to live in the way you please. You will also discover the answer to the perennial question: “Why has my life turned out in the way it has?” There are reasons for everything and when you can answer that, you will know the ways to tremendous self-improvement and brilliant new opportunities. 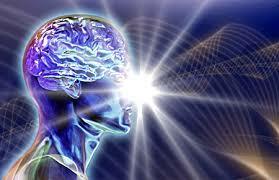 The reality is your mind is controlled by an ‘organic dimmer switch’. For most of us, this ‘switch’ is turned right down. Their minds have become like a fist: all scrunched up and tight. For the holistically successful, it is turned up to 10 to 20%. And for the guardians of the mysteries it can reach full illumination. The 'Acid Test' of success for those travelling down their own Personal Improvement journey is: Can you Manifest the success, relationships and health etc that you desire in your Life?